The LP180 Quad Sync flash will be released this summer, featuring 1/3-stop adjustments, external power support and a tripod mounting socket. 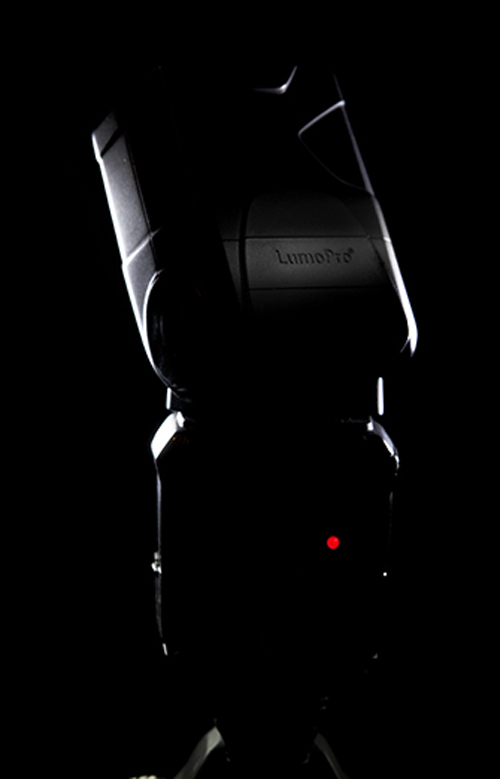 LumoPro, the photographic lighting accessory maker, has announced that its latest LP180 flashgun is now heading for the production line, with an anticipated summer 2013 retail release. Kevin Deskins, product manager at LumoPro, added: “We know the road has been long, and we want to thank all of our dedicated customers who are waiting patiently for the LP180. There is still much work ahead of us, and we promise we are working hard every day. Development of the LP180 brought about important milestones and resulted in a flash unique to the market. “Similar to the LP120 and LP160, we sought out input from real users on features they wanted. We have added much-anticipated features such as one-third stop power adjustments, customizable options like turning off sleep mode, and a high voltage accessory port. In addition, the LP180 will be one of the world’s first portable, hot shoe style flashes that features a ¼-20 mounting thread. The upcoming flash unit will inherit features from the discontinued LP160 model, including “Quad Sync” triggering options — hotshoe, 3.5mm, Prontor-Compur and optical sensor — and full manual control of the light output and zoom head. There will be no automatic TTL support. The LP180 will not be the first flashgun to have a tripod socket on it, as some competing products, such as the Godox ThinkLite TT660, do so already (but without 1/3-stop power adjustment). 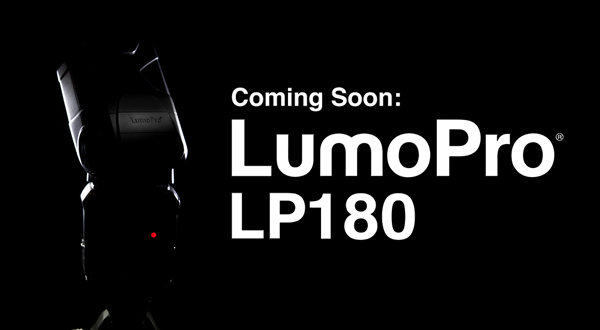 Pricing has not been announced but the LumoPro LP180 should be available in the USA, Europe, Israel, China and Australia through the existing distribution network. Visit LumoPro’s web site for details.